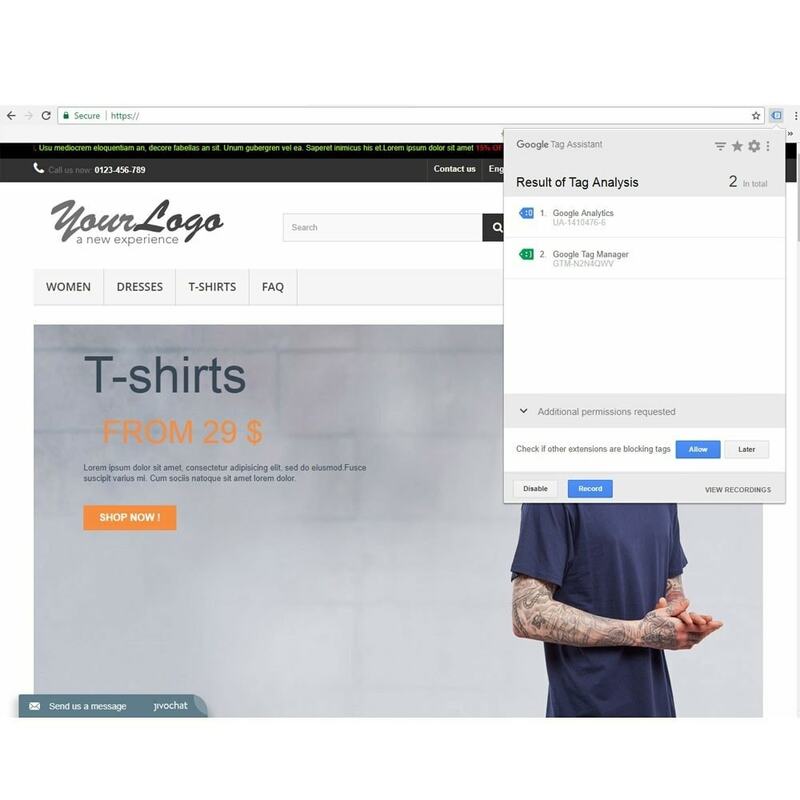 This module integrate Google Tag Manager into your store. 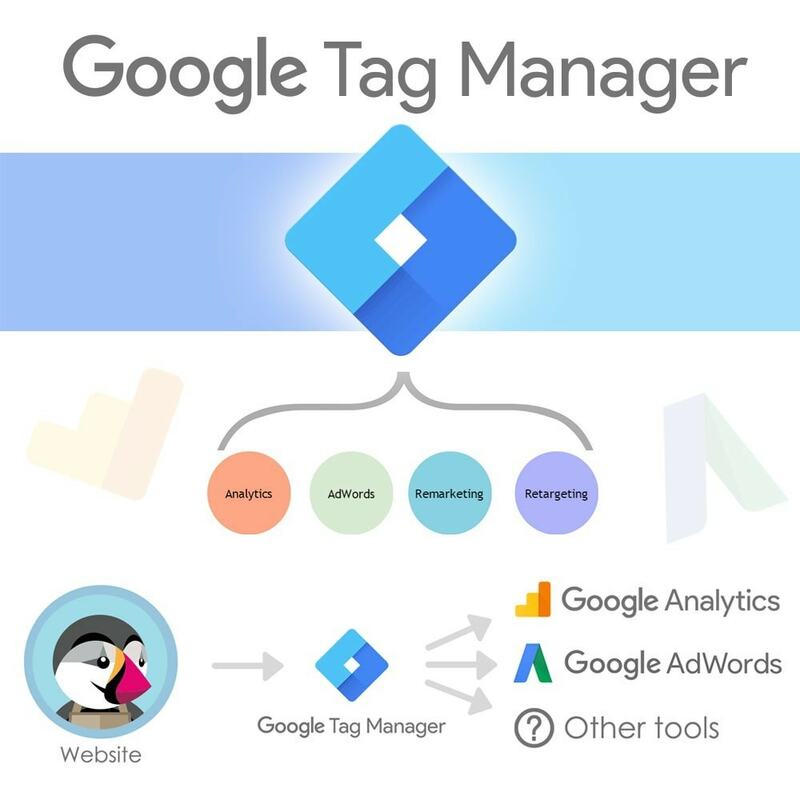 The great thing about Google Tag Manager is that you are will get solution that allows users of all experience levels to efficiently organize their marketing tools, (or “Tags”) together. It's very easy to using module. 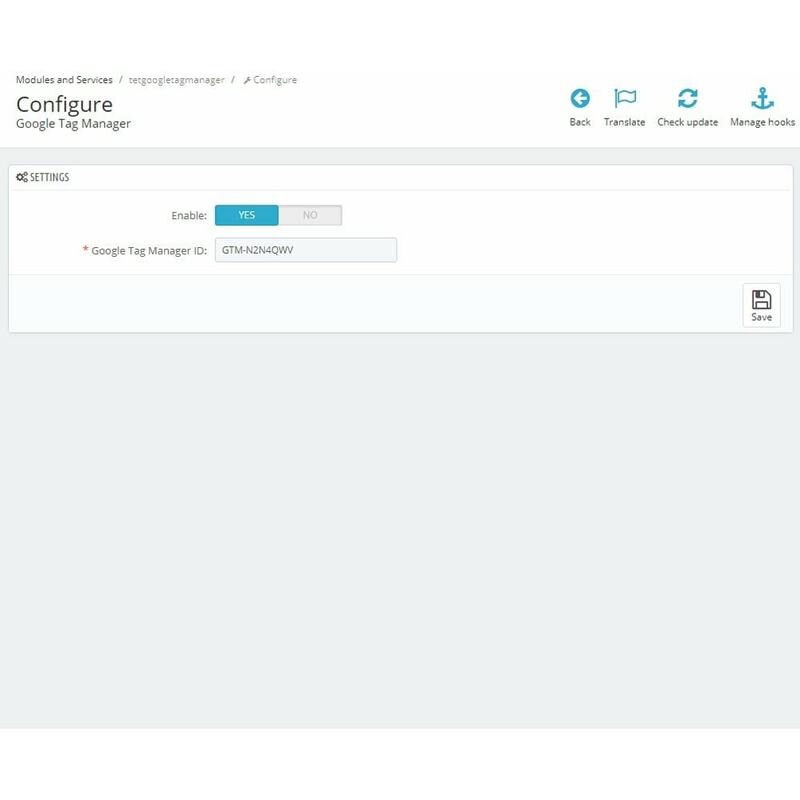 All that you need is put your Google Tag Manager ID in module's configure. You are able to gather most of your tools like Google AdWords, Google Analytics and many other in one place. You can then fire marketing tools whenever you want, specified by the rules you set up. Allows you export your orders in Google Analytics with Google Tag Manager and optimise your profit margin and your income revenue. You don't need to input tags manually. Manually inputting tags lead to the possibility of user error. Inputting tags is usually done by someone in IT or a Webmaster who have some level of disconnect from the online marketing team who will be utilizing the data, creating slack in the data collection and interpretation process. Fixing incorrectly applied tags is time consuming, and generally must go back up the ladder to IT or the Webmaster. This time lost with no tagging while waiting for a fix to be troubleshoot leads to lost time, data and conversions.